Agents do not have to step away from the prospect Timeline to conduct various sales activities – Call the prospect and then playback the call; send an email and receive a response right back in the system; add a task and get a well-timed reminder; add documents; add notes for the project – all from the convenience of a single Action Bar at the top of the page. 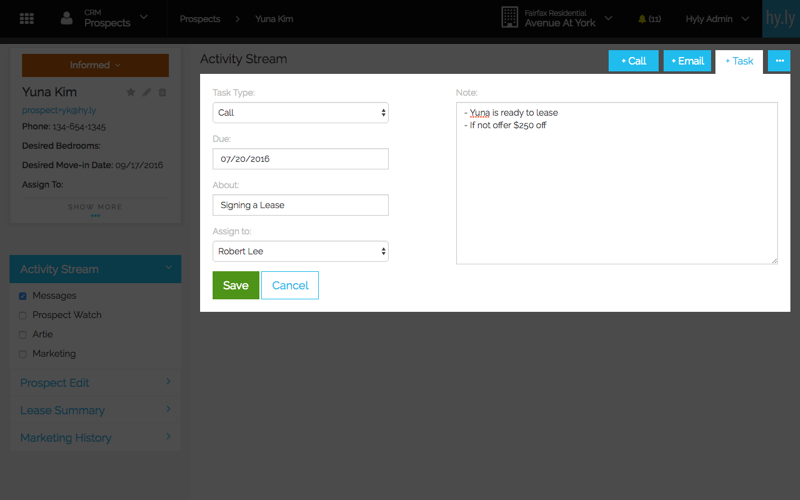 You can place your calls directly from within the Hy.ly CRM. Even more importantly, all agents calls can be recorded for playback for monitoring purposes or to refresh our memory about the conversation. Keep all the back and forth emails within Hy.ly CRM. 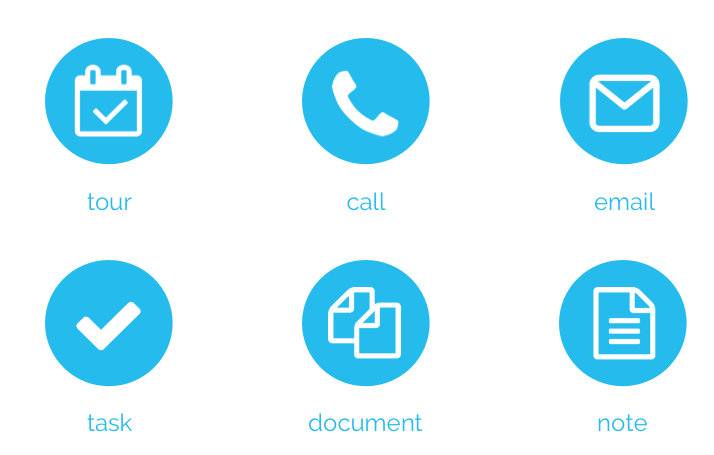 Our technology not only allows your agents to send one-on-one emails from Hy.ly, but also allows prospect replies to the captured by Hy.ly and stored as part of the prospect timeline. We know there is a lot you have to get done every day. Your agents can set up reminders to call or email a prospect and then forget about it. On the morning of the due date, Hy.ly will gently remind of follow ups scheduled for today. 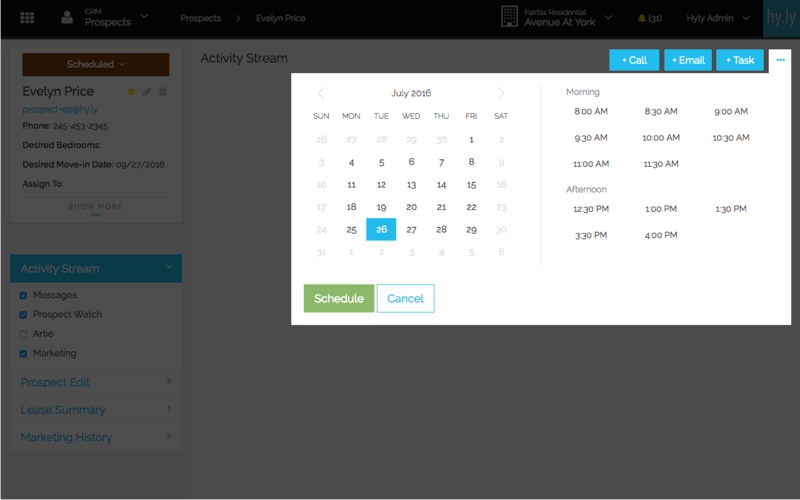 Integrate with Hy.ly's Tour Scheduler and allow the agent to reserve a spot on your community's master calendar for all prospect tours. Need to upload and save documents? 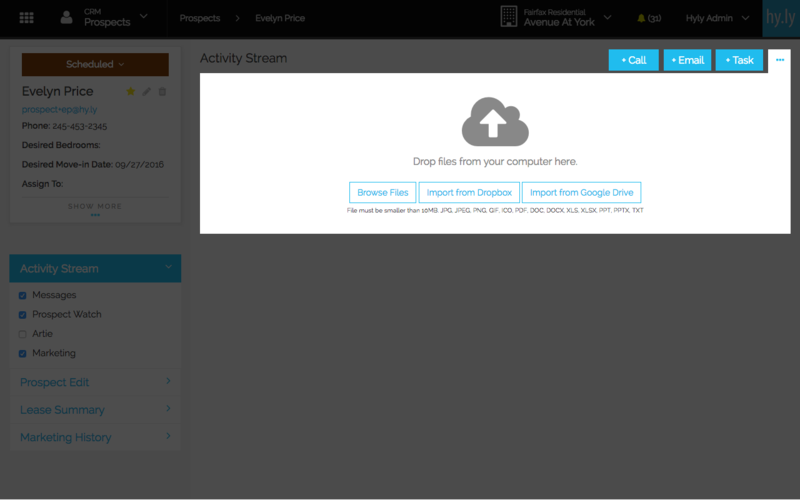 Let Hy.ly CRM associate those documents with the current prospect and keep them safely for you.